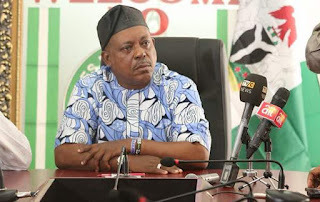 The National Chairman of the PDP, Prince Uche Secondus, has alleged that the APC and Buhari were panicking because of the case instituted before the tribunal by it and Atiku. “They failed in their clandestine moves to persuade us not to go to the tribunal . Now the reality has dawned on them that they have to defend the injustice they meted out to us and Nigerians now.